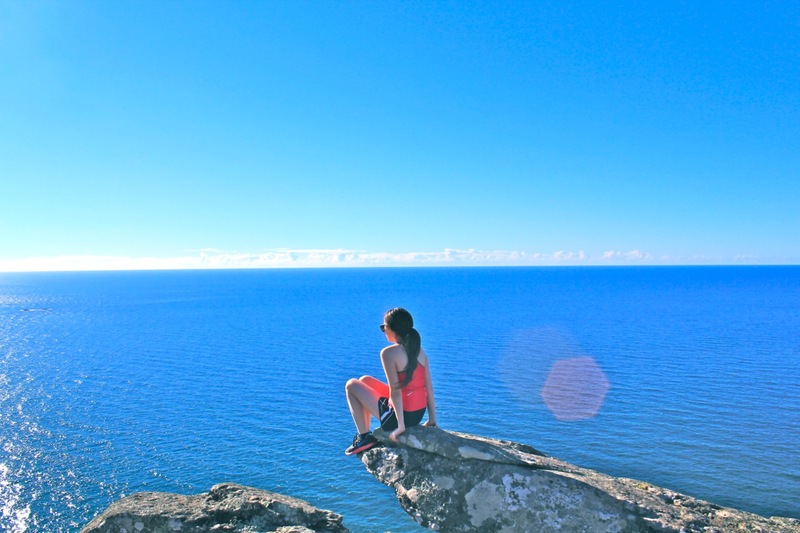 How do you decide the best things to do on a little island so vast as Tasmania? Well, you go out there and explore it of course! For years I have been re-visiting and re-exploring Tasmania, now having finally compiled a list of the absolute best things to do in Tasmania. Before you go booking that plane ticket, remember that these are the best 50 Things to do in Tasmania, so you’ll need at least 1-2 weeks to explore! Surely nothing beats this view. You can hike to the visitor’s platform for a great view over wineglass bay, or tackle the harder (but better views) hike to the top of Mt. Amos. Or if you want to grab a birdseye views, book yourself on a scenic flight from as low as $175 per person (a small price to pay for a million dollar view). Because who wouldn’t want to go off the grid for a few days and unwind here (a.k.a heaven)!? 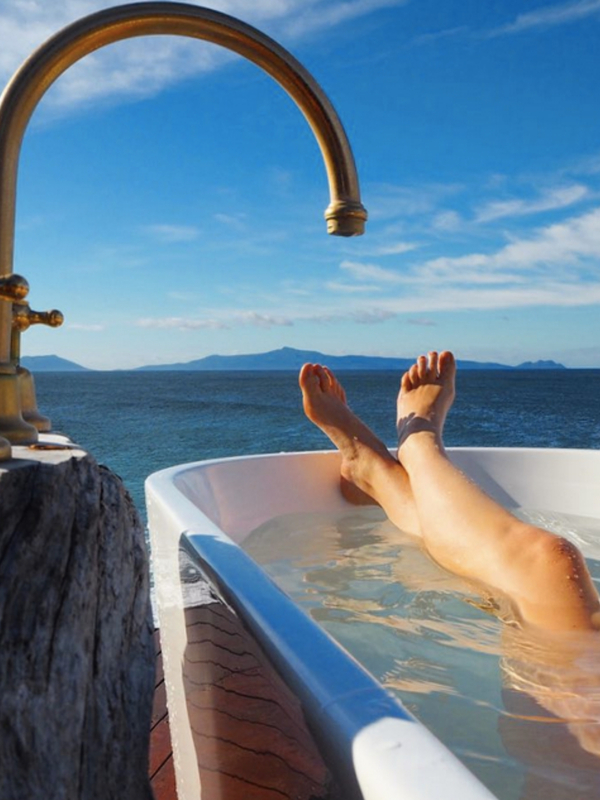 This is a private rental right on the coast of Tasmania, offering complete seclusion and of course that bath tub. Check yourself in to Thalia Haven on the East Coast of Tasmania for the ultimate vacay. If you’re visiting Tassie at the beginning of the year, be sure not to miss these impressive lavender fields in the North of Tasmania at Bridestowe Estate. While the fields usually bloom in February, the season can sometimes be brought forward to late January – be sure to check out their website to stay up to date! 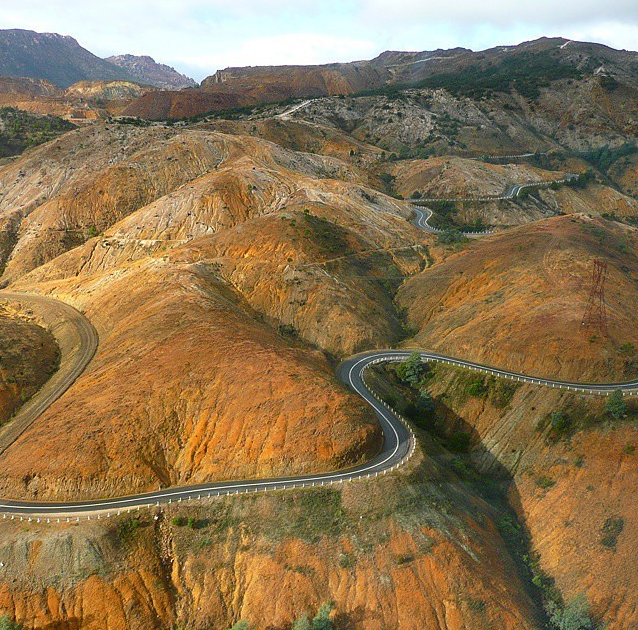 Also located inside the Freycinet National Park are a chain of mountains like no others – The Hazards. Golden Hour (The hour before sunset) is absolutely magical but really any time here is unforgettable. 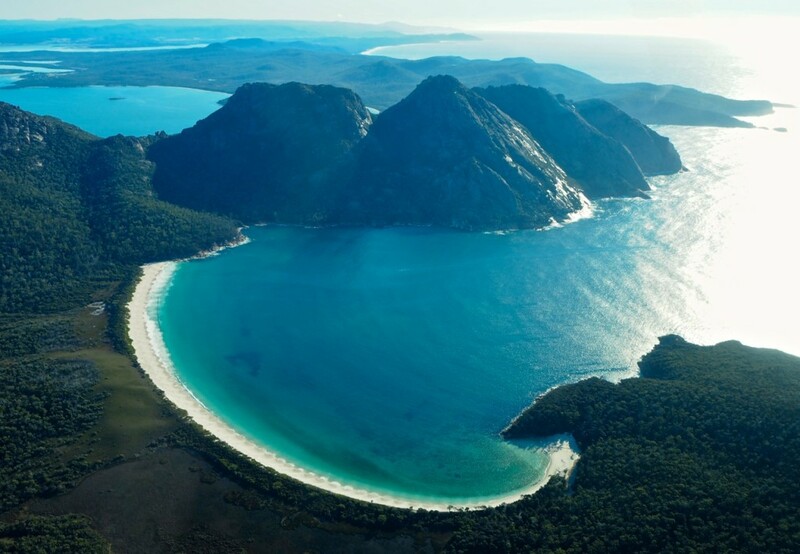 (Image: Saffire Freycinet). What better name for a bay that truly looks as if it is alive with fire, ideally set beside the ocean on Tasmania’s East Coast!? Bay of Fires is a short drive from the township of St Helens, on the East Coast of Tasmania. A great itinerary is to drive from Hobart through the East Coast and onwards to Launceston to end your trip. 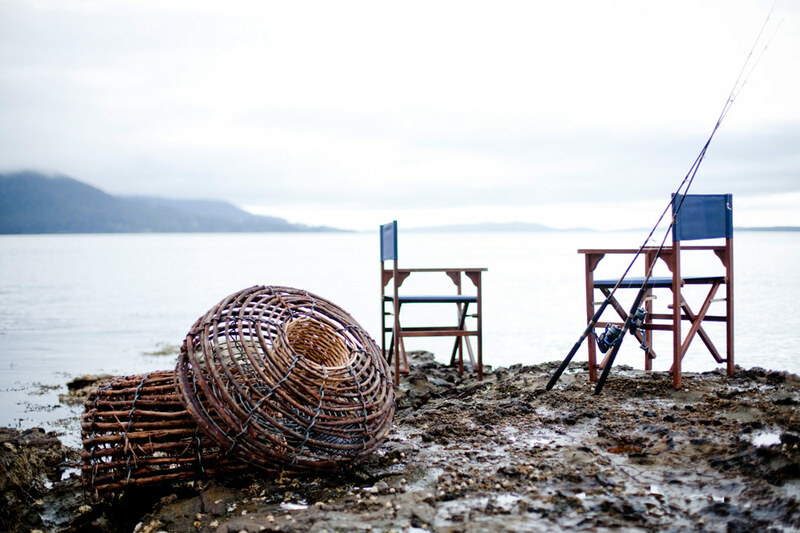 Read more: A quick guide to Tasmania’s East Coast. 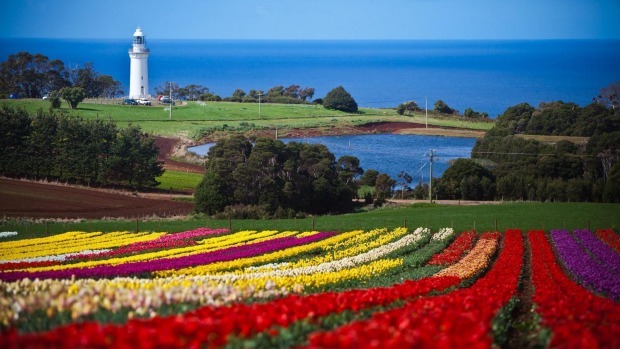 If you find yourself visiting Tasmania during the month of October, be sure to time your visit to allow for a visit to the “Bloomin’ Tulips festival” – a festival where the tulip farm on the Northwest Coast of Tasmania comes to life in full bloom. 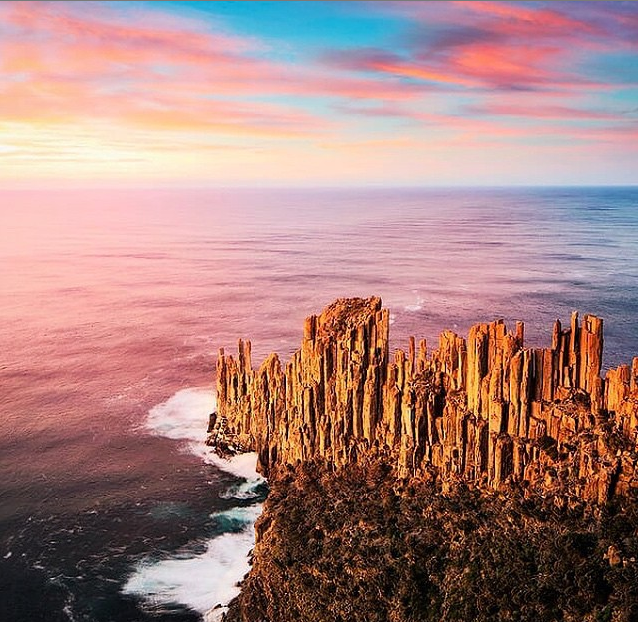 (Image: Tourism Tasmania). 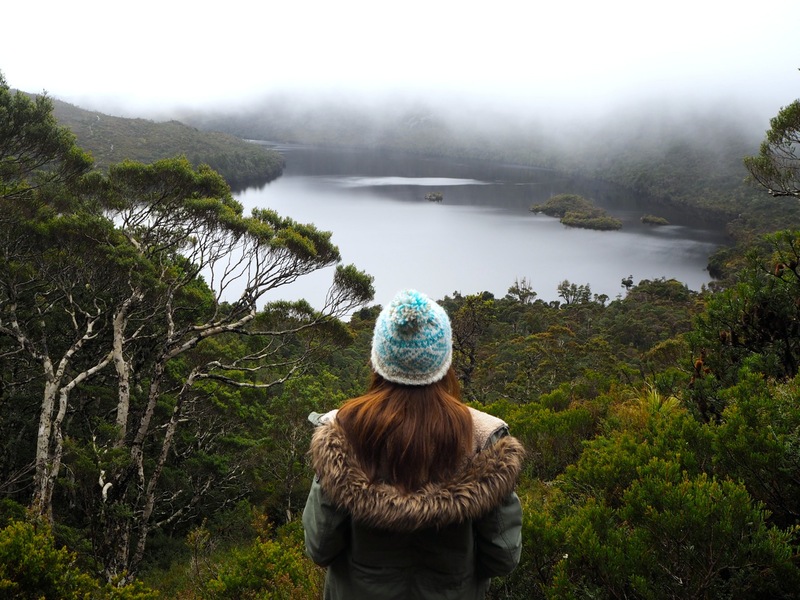 As one of Tasmania’s most visited and most renowned attractions, a visit to the main midlands National Park, Cradle Mountain National Park, is an absolute must. There are a range of day walks for visitors to enjoy, or alternatively you can set off on the famous multi-day trek (see below). Seeing Cradle Mountain is one thing, but to traverse that vast landscaped of the Tasmanian wilderness over the course of a 6-day trek is quite another. You can choose to stay in public huts if you’re on a budget, or for a more luxurious approach try out the Cradle Mountain Huts Walk – glamping at its’ finest! There are a few hidden gems located on the rugged coast line of Tasmania, one of these being the tessellated pavement located in the Eagle Hawk Neck region. 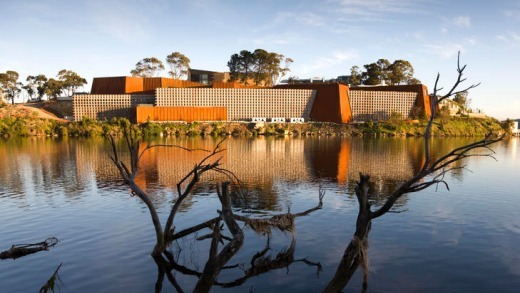 This location is best visited on a visit to Port Arthur Historic Site – Tasmania’s most visited attraction. …because where else can you say you have climbed a nut! The walk to the top is only a 15-20 minute trek (albeit a steep one), and the views on the way up and once at the top are hard to beat! To stay in the idyllic seaside town, check yourself in to @VDL. 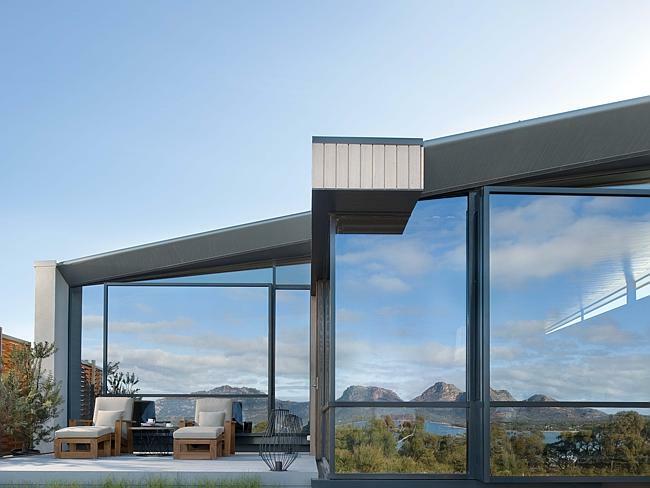 Recently this uber-luxe resort, Saffire Freycinet, was dubbed the world’s best boutique hotel. 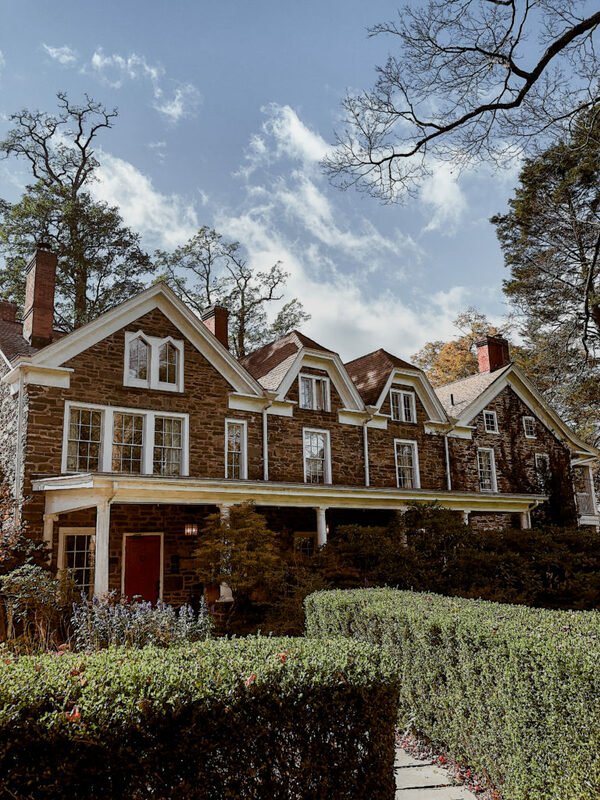 If you’ve been lucky enough to stay there, you’ll understand exactly why! 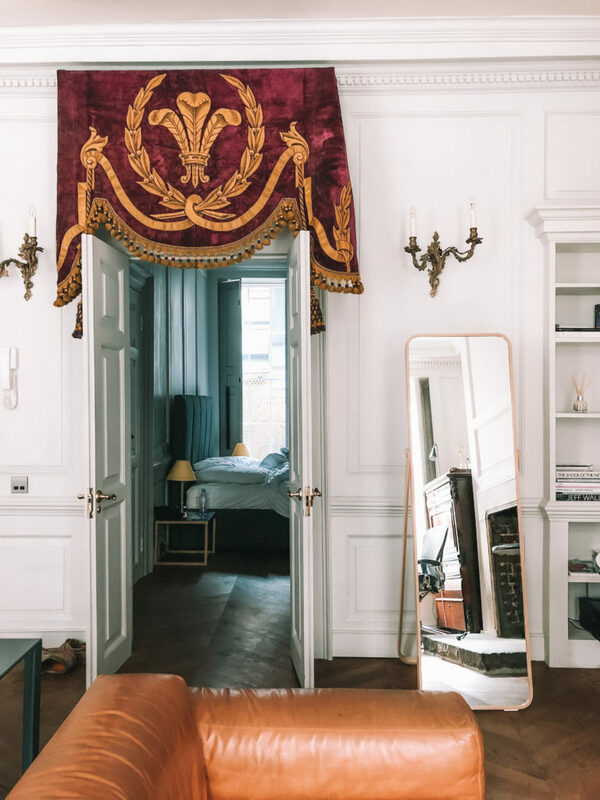 While rooms down’t come cheap, they do include all meals (including a 6-course degustation dinner with matched wines) AND an all-inclusive free mini-bar. Winning! 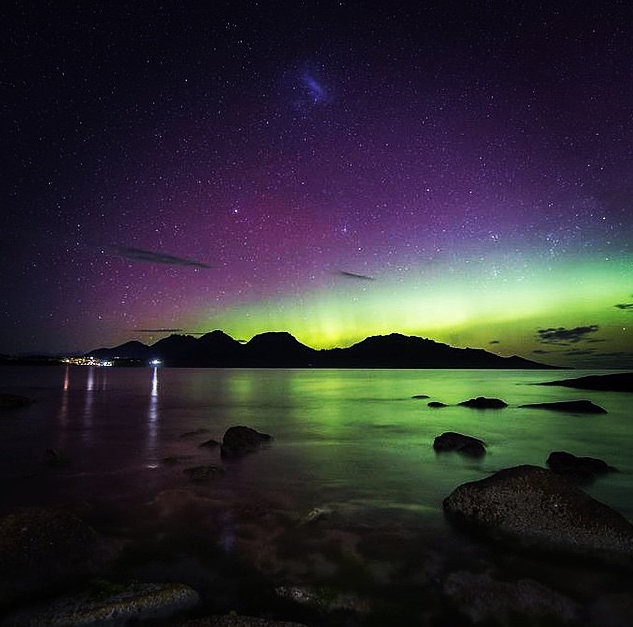 (Image: Saffire Freycinet). This museum made headlines when it first opened in January of 2011… years on and the captivating headlines are yet to subside. This artsy building is even more impressive on the inside when you view the controversial, quirky and sometimes just downright crazy exhibitions on offer. Totally worth a visit! Plus if you’re a Tasmanian, you enter for free! (Image: Traveller.com.au). This small private island is home to one of Tasmania’s most exclusive accommodations on offer and is one of the most remote locations on earth to find yourself. Its such a secret that most locals don’t even know it exists! (Image: Satellite Island). Hiding neatly away on Maria Island are Tasmania’s painted cliffs, a favourite among photographers and nature enthusiasts (Image by JJ Harrison via Wikicommons). …Because who wouldn’t want to stand here!? 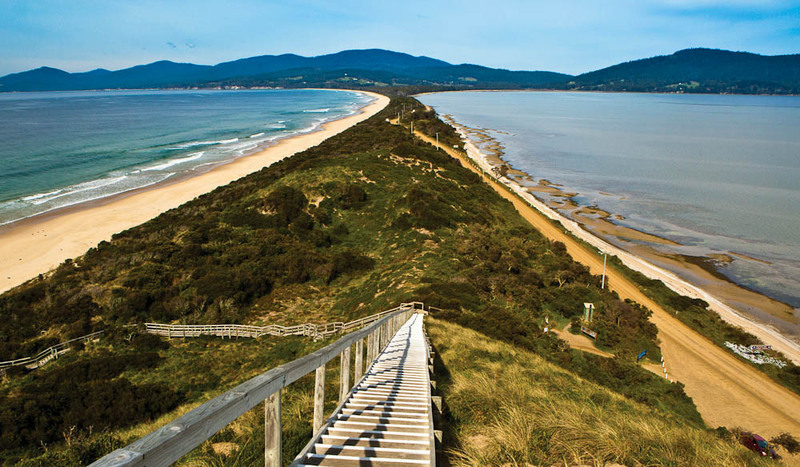 Bruny Island is a short ferry ride from the mainland, with the departure point at Kettering just an hours drive from Hobart, Tasmania’s capital. Hiding away in the distance is Tasmania’s Totem Pole, inside the Tasman National Park. 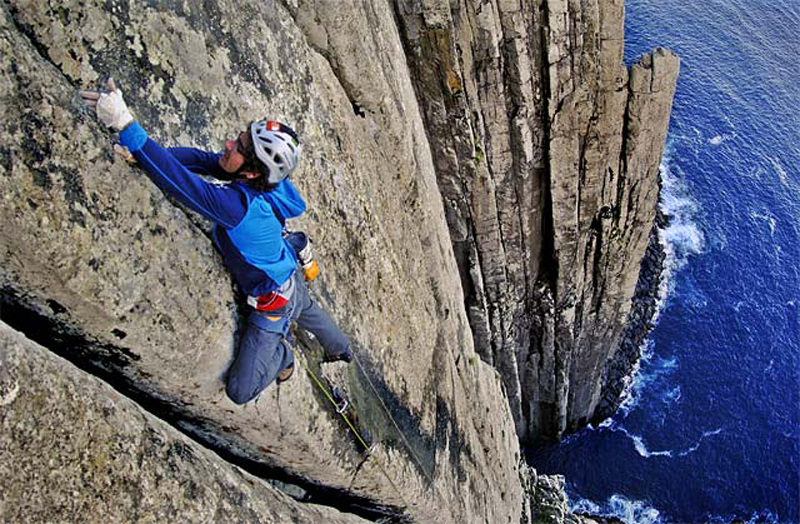 The rock formation stands 60 metres tall and is a thrill seeker’s favourite for extreme rock climbing (Image via Tasmania for Everyone). What could be better than sipping a glass of Sauvignon Blanc amidst the rolling hills of the Tamar Valley? 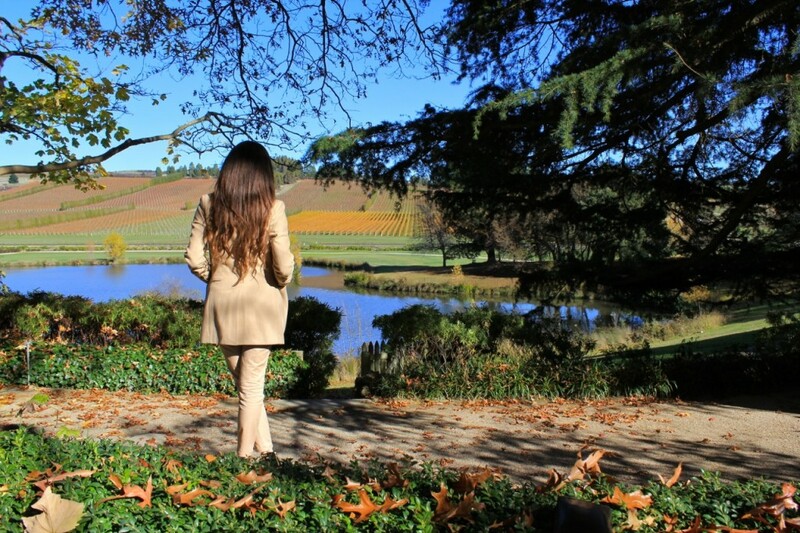 Here you will be spoiled with an array of award winning wineries with inviting cellar doors. Pictured: Josef Chromy’s. If there’s one thing we could all call the Tasmanians at this point, its creative. A visit to the Tazmazia Village will have you feeling larger than life in no time! 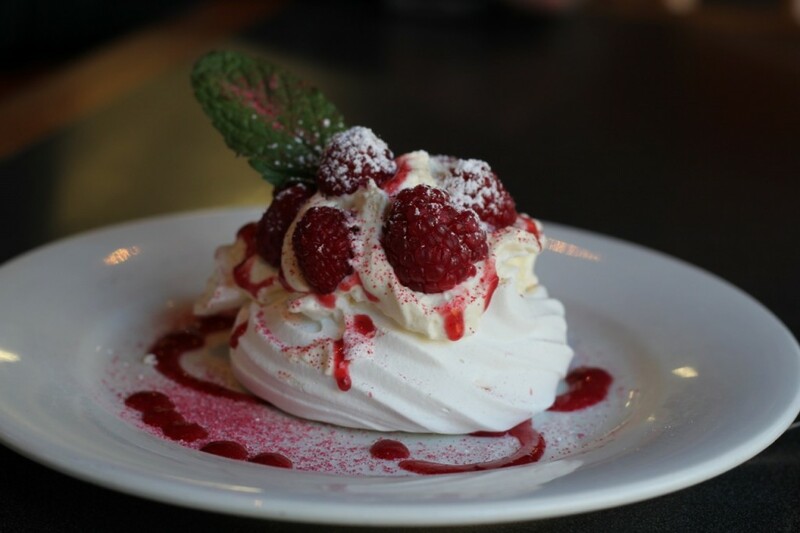 ….I’m talking raspberry Eggs Benedict, raspberry scones, raspberry meringues, and much more. The Raspberry farm is a great pit stop between Launceston and Devonport for the roadtrippers out there! …Where yes, there is a town mascot. ‘Nuff said. Tassie is a true testament to the wild and whacky wonderfulness of nature. A road trip is without a doubt the best way to get around, as you’ll find many worthy stops along the way. 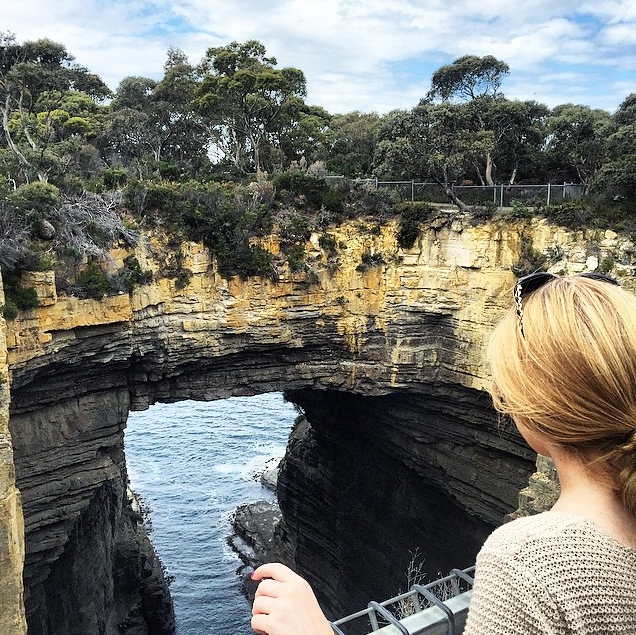 The Tasman Arch is located on Tasmania’s Southern Peninsula, around the Eaglehawk Neck region. Signs will point the way to this and a number of other attractions in the immediate area. This hotel has quickly become one of the world’s most instagrammable hotels. I mean, who couldn’t see themselves here!? 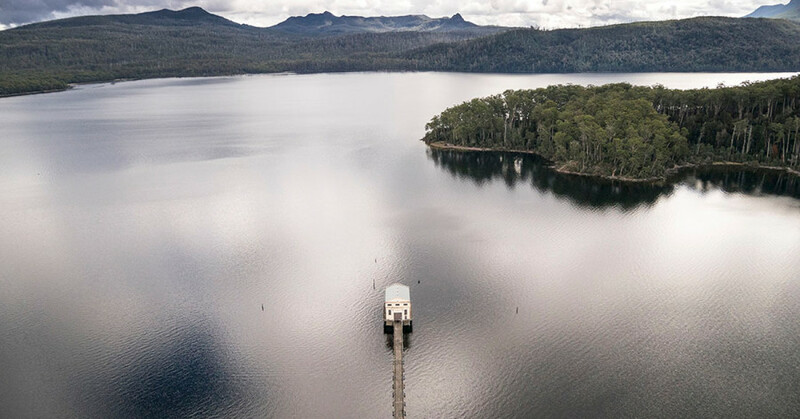 (Image via Pumphouse Point). Yep, you heard it here first. 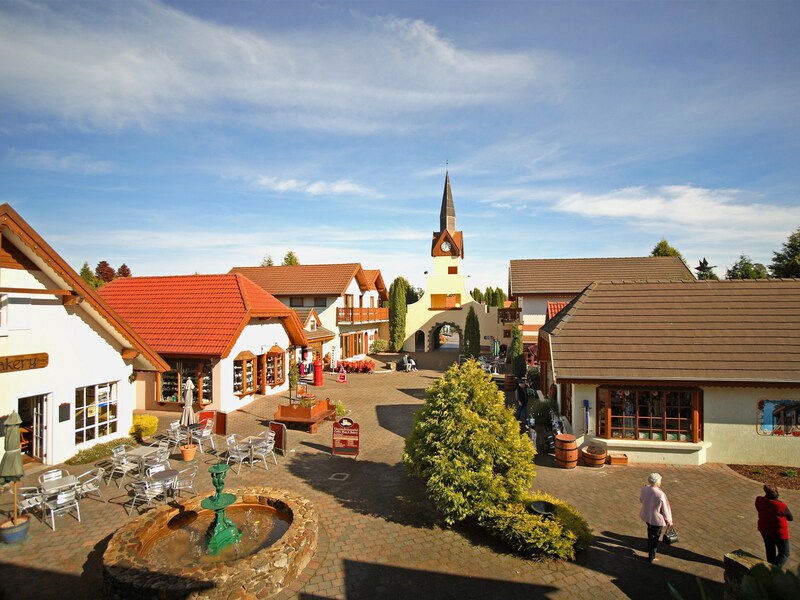 A visit to Tasmania is also a visit to Switzerland when you make a short 15 minute drive North along the Tamar Valley from Launceston, to the Swiss Village named “Grindelwald“. (Image via Northern Tasmania). This idyllic national park is renowned for being home to one of Tassie’s most loved attractions – a scenic cruise down the Franklin-Gordon River (Image via Gordon River Cruises). Barnbougle Lost Farm is located in the North of the state, making this courses a popular stop for international jet setters who fly in via private jet… But you needn’t have a jet to play here! This course is in fact a public course and anyone can play here, although you might want to brush up at the driving range before tackling it in public!!! (Image via Air Swings). 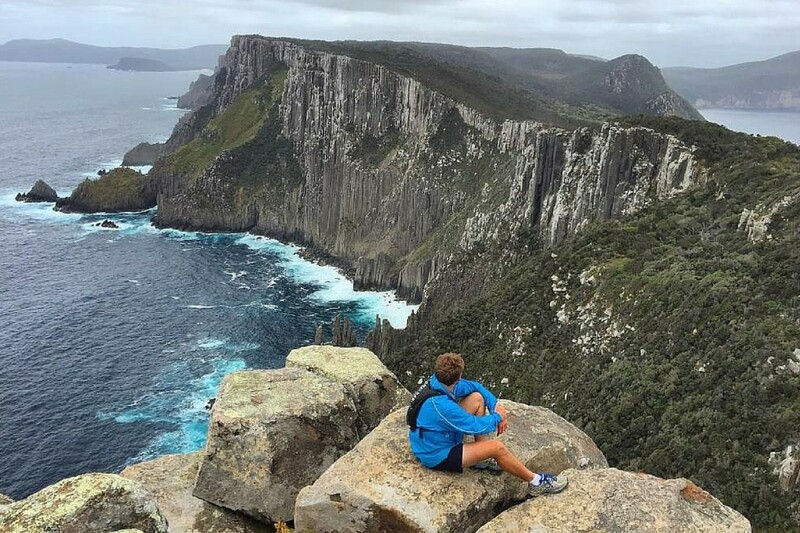 The newest of Tasmania’s walks, the “Three Capes Track” opened in 2015 and has been a real hit the Aussies visiting from overstate and is slowly drawing an international crowd. Believe me when I say it is worth every step for those coastal views!!! 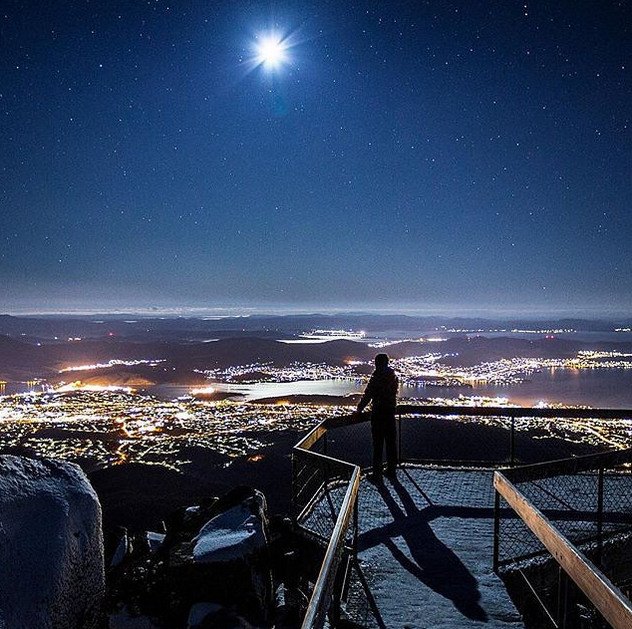 The capital city of Tasmania, Hobart, is full of surprises – perhaps none more photographic and impressive than a trip to the Mount Wellington observation deck in the evening to admire the city from above (images via instagram @watermelonaddict). Forget travelling thousands of miles in search of the Northern Lights when you have the Southern Aurora Australis right here! (Image via Instagram @kimmaischphotography). A nice little pitstop just outside of Hobart is one of Tasmania’s most quaint and charming towns; Richmond. Be sure to stop for some scones in one of the many cafes and walk it off with a wander along Australia’s oldest bridge; Richmond Bridge. If you dare, Port Arthur is rumoured to have one of the spookiest night ghost tours on offer inside the remains of what was once a convict prison. 32. 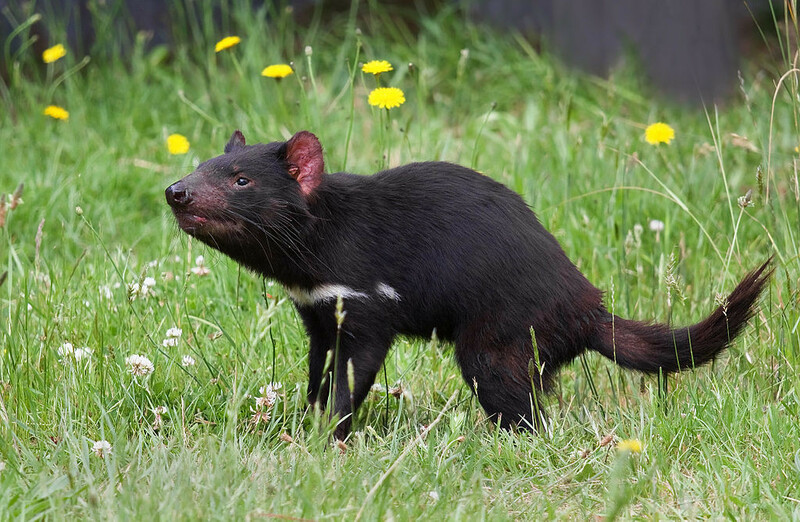 See a Tassie Devil up Close! They might look cute (a la Taz the cartoon), but these little devils are just that – devils! See them at one of the many wildlife parks around the island: in the North and in the South. (Image by JJ Harrison via Wikicommons). 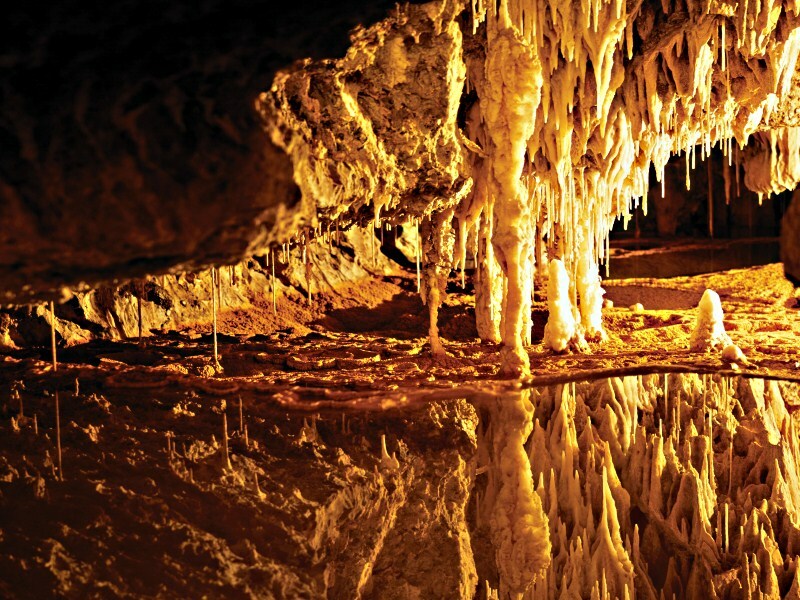 The Mole Creek Caves are a popular attraction for travellers making their way up to Cradle Mountain (usually from the city of Launceston). 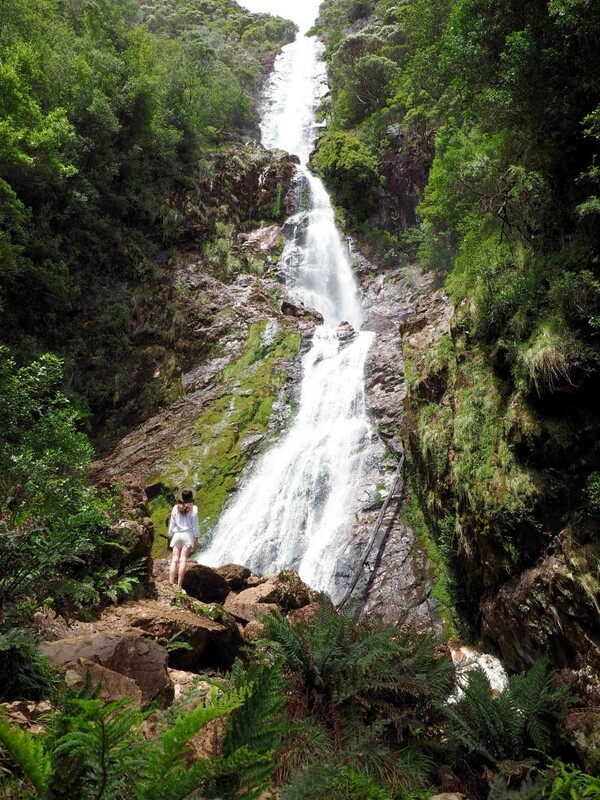 If you have the chance to stop for a few hours, be sure to book a tour in advance (Image via Northern Tasmania). 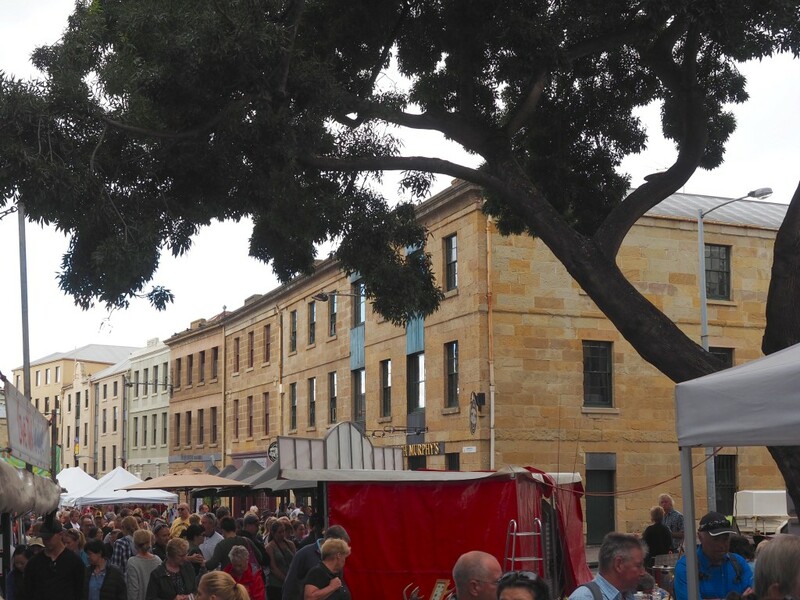 Salamanca Market is located on Hobart’s waterfront and open every Saturday of the year – rain, hail, or shine. The market offers some fantastic local produce, handicrafts, and local talented artists. 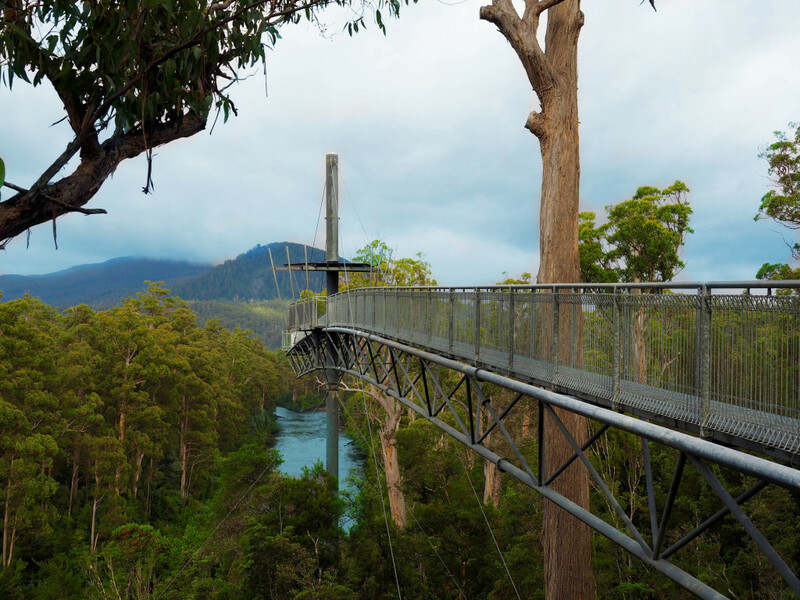 It’s not every day you get to walk on air… so why not schedule in a visit to the Tahune Forest airwalk to really get a grip on Tassie’s wildlife and wilderness. 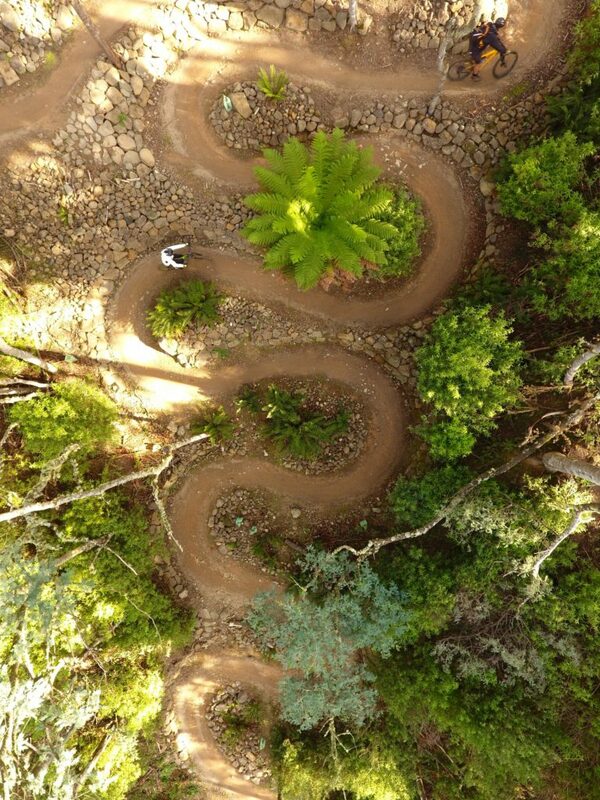 A recent addition to the top 50 things to do in Tasmania are the newly opened Blue Derby mountain bike trails – this image says it all! There are over 100km of mountain bike trails in the network and you can even stay inside a pod for a 3-day ultimate tour if you’re really keen to hit the trails hard! The locals of Launceston are lucky enough to call this their public backyard… and yep, it’s right in the centre of town! Wait…. you can actually do this!? Yep! Someone was feeling equally playful and inventive the day they said they were going to build a huge slide through the forest. Check it out at dismal swamp on the North West Coast. This picture says it all. Russel Falls aren’t one of the most known waterfalls to visit in the state, but this picture certainly suggests otherwise! 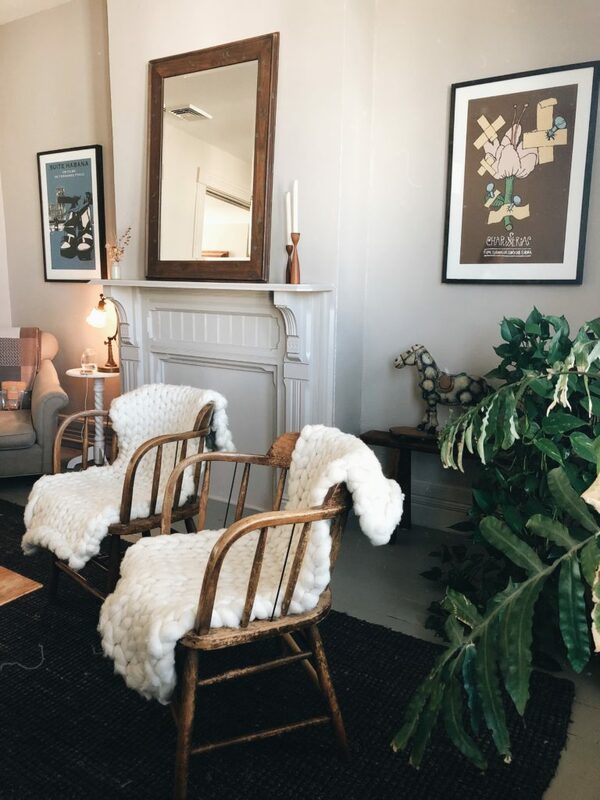 (Image via Instagram @tassiegrammer). Care for a quick abseil down!? That’s right, you totally can! 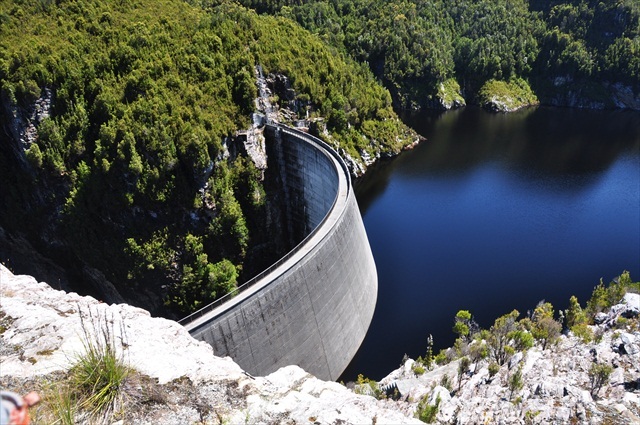 The dam is a two hour drive from Hobart if you’re looking for something a little out of the ordinary. (Image via Lewis’ Exploring Oz). 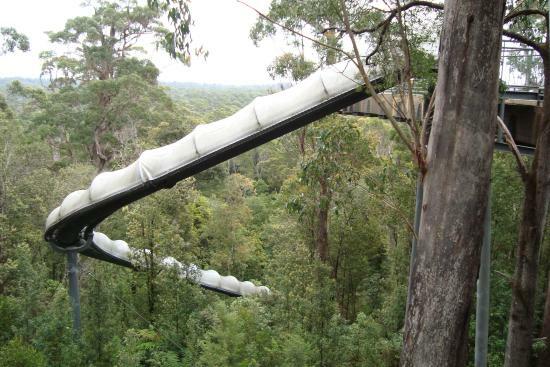 This treetop adventure is a fave among the families – and it’s not hard to see why! You can reach the Hollybank treetops adventures from Launceston by car, in about 20 minutes. Make your way into the wilderness, traverse a rickety swinging bridge, and find yourself at the glorious Montezuma Falls. They’re located in the West of the island, so be sure to pair with a visit to Strahan and Queenstown. What better way to experience untouched beauty than to glide along with it!? Visit Roaring 40s Kayaking to learn about more of their one-day and multi-day kayaking adventures! 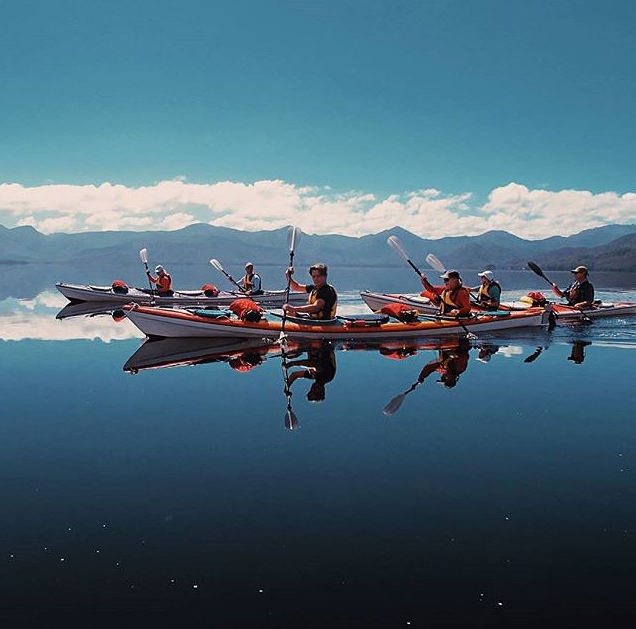 (Image via Instagram @AdventureTasmania). Many of the locations named are in and around the Tasman peninsula, but have you considered just how equally beauty the area is in itself!? (Image via Instagram @crispy_scapes). …Because where else in the world could you feel so completely off the grid than the rugged West Coast!? (Image via Instagram @sandra_celebrate). 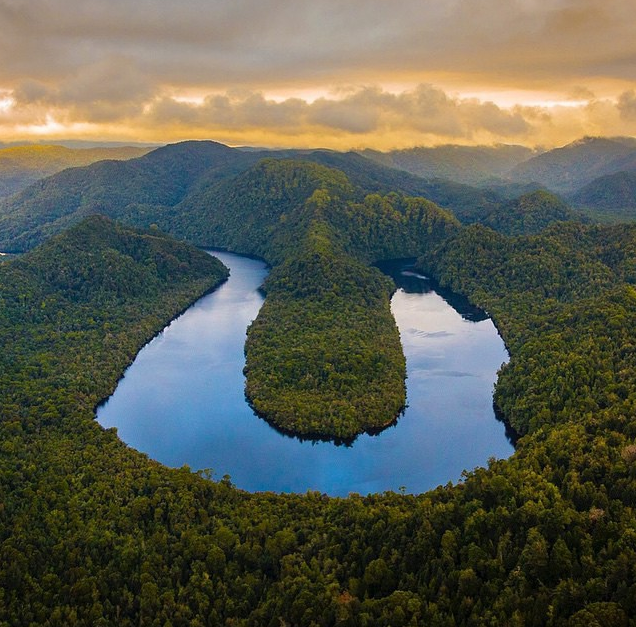 There’s no doubt the Gordon River is stunning on a river cruise, but how about flying over to site the photogenic Horseshoe Bend from above (Image via Instagram @chrisbrayphotography). 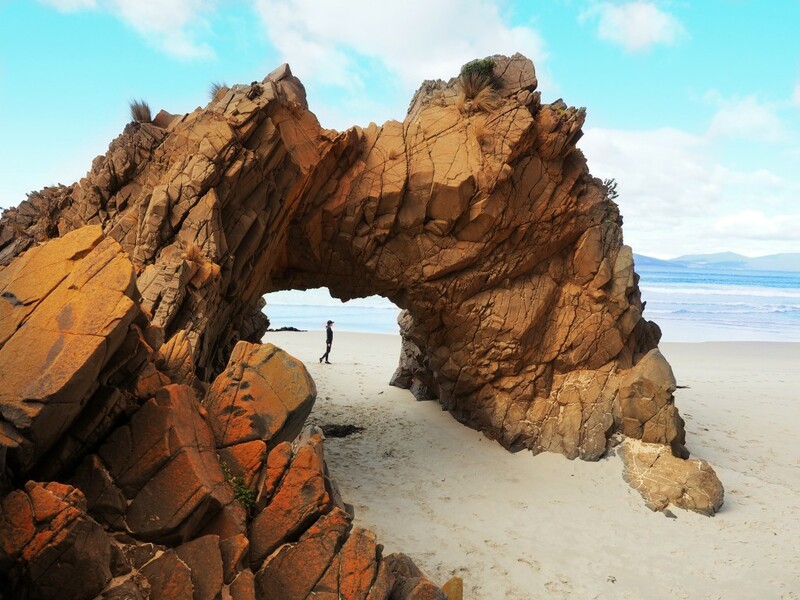 And then there’s this natural rock arch on the Bruny Island Cape Elizabeth track… As if you needed any more convincing to get yourself down to Tassie! 50. OVER. TO. YOU. What are your favourite places in Tasmania? Just a footnote about the Bloomin’ Tulips festival on the north west coast. 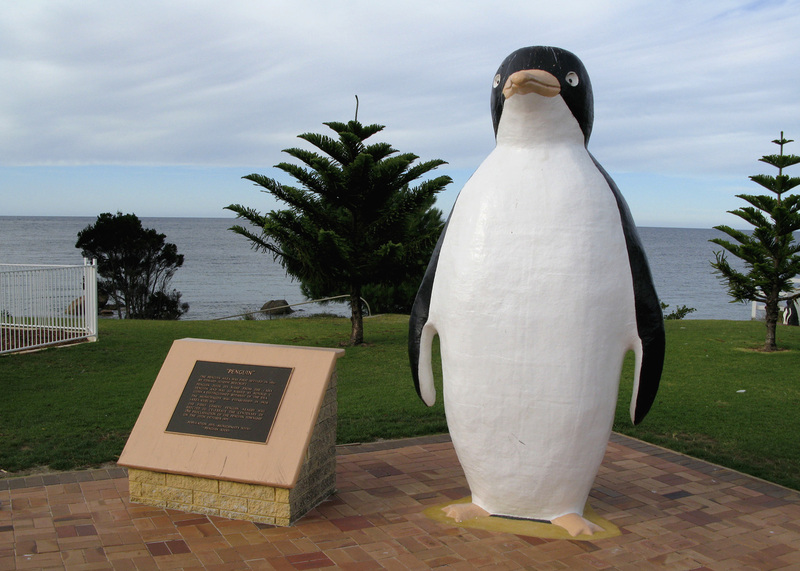 It is held in Wynyard, a town with a population of around 5,000 people. The attendance at the 2015 one-day festival totalled over 18,000 people- quite an achievement! Where is the one with the bathtub taken ? Number two? Look amazing ! thank you very much! We probably will be there in the beginning of July. I live in Tasmania and love it! To Darcy, there is poverty everywhere in the world, but I have seen far worse places than Tassie, look at the poverty in India and Africa. At least poor people here get welfare and free health care. You don’t have to be a rich tourist to see the delights of the Island, there is beauty eveywhere and most of it is free. 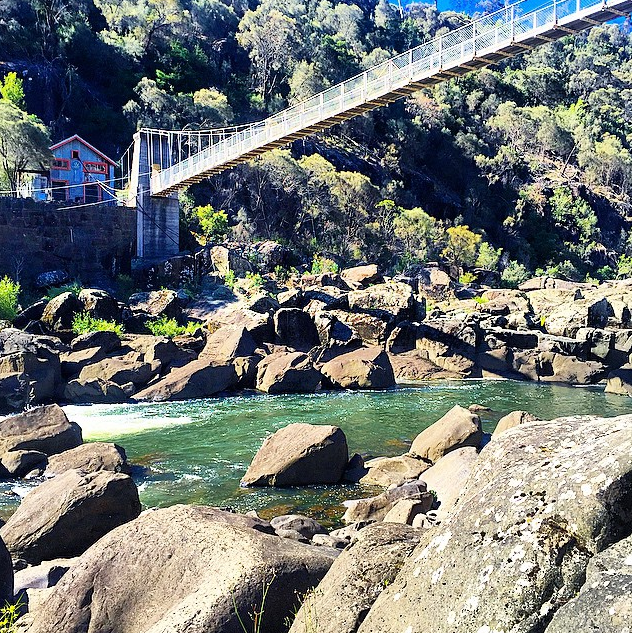 The cataract gorge is on Launceston’s doorstep and and you are free to go and swim in the pool or gorge at no cost, up the river from here is the old duck reach power station and there is a walking track to get to it. Tasmania has some of the best and cleanest beaches in Australia and maybe even the world. The samon fishing you can do down the east coast off St Helens beach is great or for deep see fishing you can charter a boat. Walking through the central highlands, Cradel Mountain, Walls of Jeruselam national parks are an experience not to be missed. I have seen a lot of Tasmania, but I have plenty more to see. Oh. My. God. These place are just absolutely amazing. 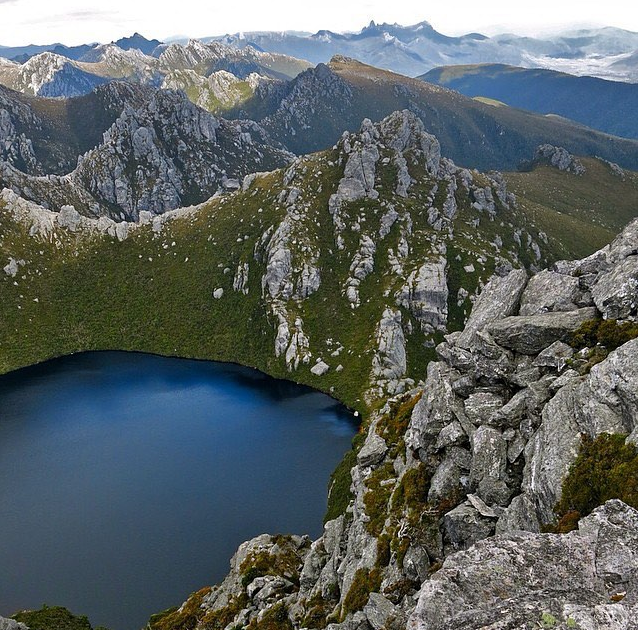 Now, Tasmania has moved up to the top of my bucketlist. I can’t wait to go there and visit these wonderful places. Marvel at the poverty of all the depressed people who inhabit this tiny island most of whom are far too poor to ever do or see any of these things on this list… Tasmania is good of you’re a rich tourist but if you live here it is the worst possible place to be becuse you are trapped in an endless cycle of poverty. I’m going in May this year! I can’t wait. Sadly, we’re only in Hobart for 3 days. We’re going to do the best we can to visit the regional places but can anyone recommend the top 3 (or 4 or 5) things to do in Hobart itself? And also not-to-be missed places to eat (on an average budget). 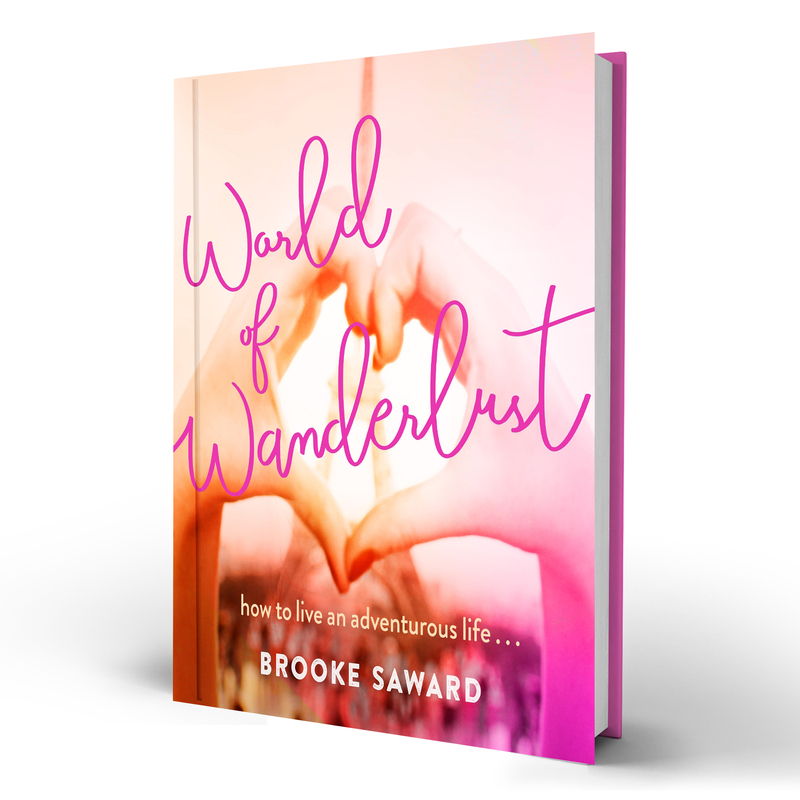 Thanks Brooke for the mention, so many awesome ideas on this list! The oldest synagogue in Australia is in Hobart, and besides its interesting past (funded by freed convicts who’d been transported…), it’s also, it turns out, got a most interesting present. A tiny, beautiful place. I think it is hard to go past the historic maritime precinct at Low Head; with its totally intact light house, leading lights, pilot station, cottages, museum built by convicts, penguins and beaches. There is nothing like the sunsets. Ask about the female pirates. The murals in Sheffield, Hastings caves, South Cape Bay, Agfest, Tasmanian arts and craft fair. Have been to Tasmania 5 times and still haven’t seen all of this Beautiful Place. I shall be returning. Love it. Wonderful, beautiful Tasmania. A must see is the historic mining town of Queenstown. Not only does the Abt railway have its home there it is worthy of a day or two to wander, photograph and explore. Stay a night or two. It is a great town currently undergoing hard times due to the temporary (we hope) closure of the mine. Have a fabulous time and help boost the local economy. Yes Tasmania is that impressive and we haven’t even started telling you all our secrets. Bridport, North East Coast, fantastic R&R location for Tasmanians. Here you catch the biggest flathead, ride, run or walk around the spectaular walking tracks, swim in pristine waters and we even have a secret Tassie Tiger! Hope you all enjoy your visit. Those are all superb spots but misses King Island (and Flinders Island). Tallest stone (convict built) lighthouse in the southern hemisphere; penguin colony; platypus tours; world class surf beaches; 2 beaches consistently rated in Australia’s top beaches (and the locals think those are outclassed by a dozen others hidden on the island); cloud juice rainwater from the purest air in Australia; calcified forest; King Island Cheese; King Island Beef; King Crabs; 100 Shipwrecks; Currie Harbour; kelp forests; 2 world-class golf courses opening Oct/Nov 2015; probably Australia’s best 9-hole golf course; King Island Long Table foodies celebration; Cooking School; Country horse racing (gallops and trots); bushwalking; beach-combing; fishing; Australia’s friendliest mob of locals you will ever come across; and of course the greatest little festival you have never been to – FESTIVAL OF KING ISLAND (FOKI). Last weekend in January. Wow – Tasmania looks like out of space – such an amazing place! I can’t believe I missed going to Tasmania, while I was in Australia for FOUR months!! Thanks for putting it on my bucket list! And you’ve barely left the mainland with this list! 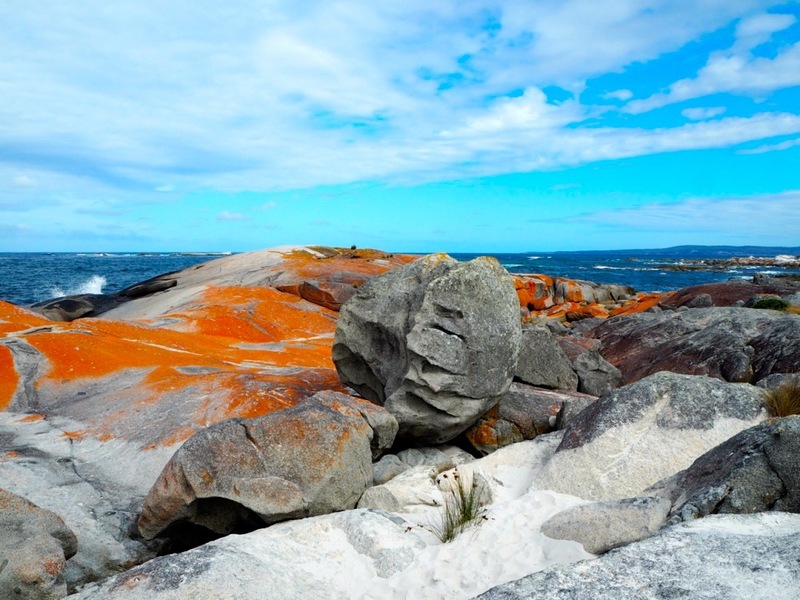 Flinders Island is insane – the most beautiful place on earth. 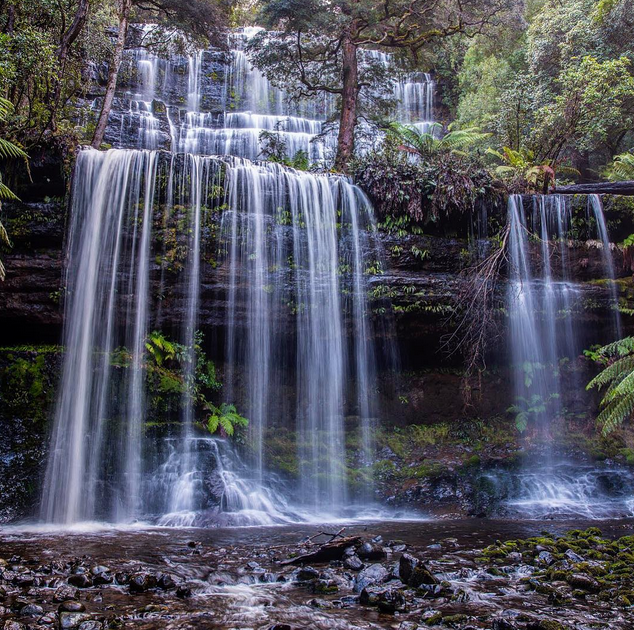 – visit the cascade brewery in south Hobart and do a brewery tour with beer tastings then have lunch in the bestuful restaurant and explore the cascade gardens. I could keep going buy would be here all day! 50. Driving along Bicheno and Swansea. 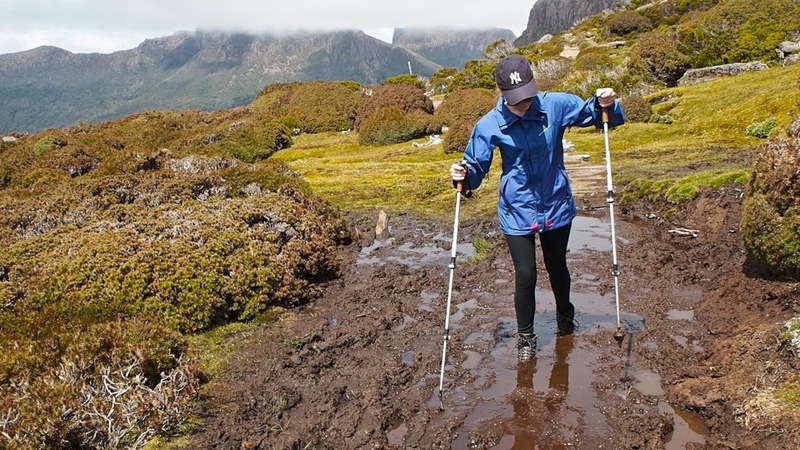 Can’t wait to go back and trekking in Cradle Mountain National Park, The Overland Track and Three Capes Track that will open in November 2015. Thanks. Hold on, did you really just say “southern aurora borealis? I could have sworn they only had the Aurora Australis!! The Squeaky beach on the road from Hobart to Port Arthur. I am sure others could make your list up to 100 – it is arguably my favourite part of Australia – but your list is tremendous, makes me want to go back again. And you could add a few, like the Edge of The World at the mouth of the Arthur River, crossing the Pieman River by barge at Corinna, Ocean Beach and the dunes near Strahan, Boat Harbour Beach, the walk from Sisters Beach to Rocky Cape, surfing at Marrawah, Bathurst Harbour, and so much more. I’ve been daydreaming about my December trip to Tasmania for months. 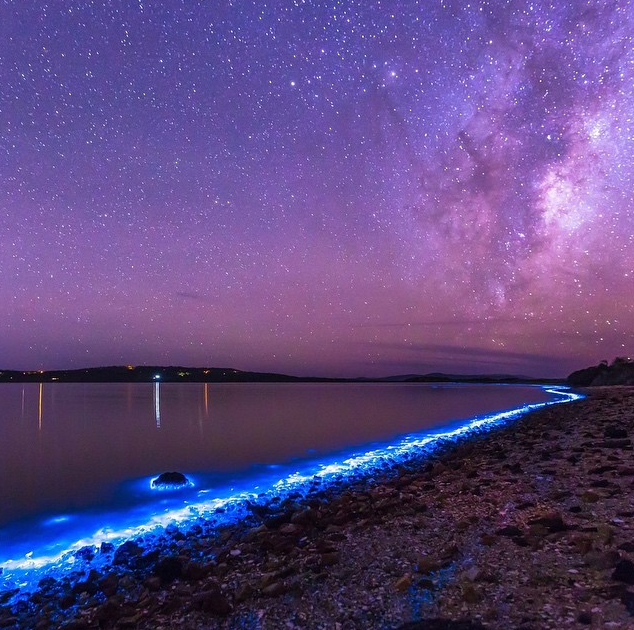 Definitely bookmarking this list — the Three Capes Trek has been on my radar for awhile now, but I didn’t know about Tasmania’s lavender fields or bioluminescence! Seriously can’t wait. WOW! Tasmania has always been on my list, and this only makes me want to visit more. Thanks for the awesome ideas! All these, plus plus plus! So far, we have spent a total of 8 weeks there, and we haven’t seen everything yet! isnt Tasmania amazing? How many of these places have you been? Great to read such a positive review on the apple isle! Lovely pictures. I am truly Tasmanian 70 plus yrs and I’ve been to all of those places over the yrs and every time it is just as beautiful. Thank you for the memories. Welcome to India, more specifically Kerala, Gods Own Country 🙂 If you are visiting will surely specify the most beautiful and adventurous places all over India. Oh this is perfect! We were just talking today about we wanted to go to Tassie for Christmas! Thanks! Liffey Falls and Devils Gullet are amazing spots, too! Btw not sure if it is just me, but some of your photos came out really tiny?? What an awesome list Brooke. As someone who lives and was born in Tasmania, I seriously need to see more of it!